For this review we'll use the integrated benchmark functionality in X-Plane 10, which can be started via the parameter --fps_test. For the most basic functionality, the user simply inputs the numbers from 1 to 4 to specify the quality settings from low to ultra-high. 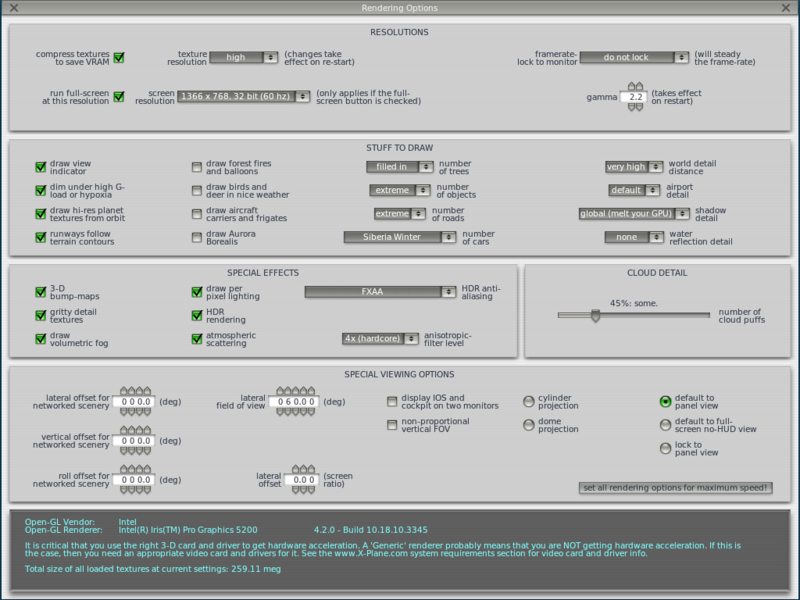 In addition, we'll also specify the resolution (1024x768, 1366x768, and 1920x1080) and the color depth (32-bit). We decided to use the time demo test_flight_c4 as our sequence, which is included in the 64-bit web demo version 10.25 as used for this review. However, test 4 is _not_ an actual test of the product - it is a specialized "CPU-only" test that was put in so that driver developers could look at changes in performance between driver versions. The test intentionally ignores the GPU to "focus" on CPU driver time. (Similarly test 5 is a GPU only test to focus on shader compilation. The screenshots depicting the various settings show that even the lowest preset is not necessarily the lowest setting since "texture resolution" and "world detail distance" are still set to high and very high, respectively. 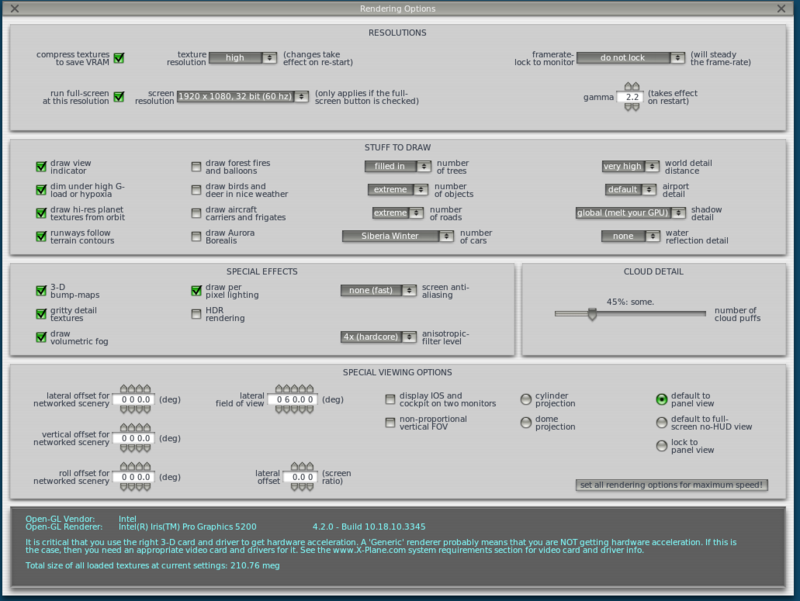 Though these settings are comparatively high, an Intel HD Graphics 4000 GPU is already a workable solution. The next setting reveals far more graphical details than the first. Medium details (fps_test=2) require at least a middle-class graphics card like a GeForce GT 640M to ensure smooth operation. Even so, we advise users to scale back some settings for improved frame rates. Some slower cards like the GT 720M proved to be an acceptable alternative at times with decently high frame rates. 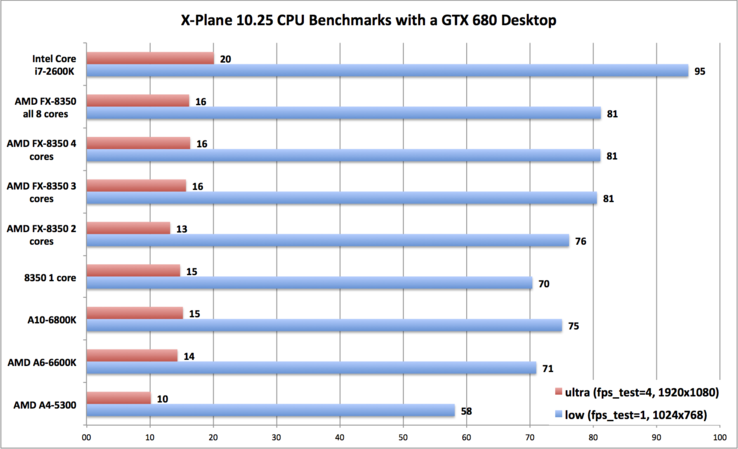 It appears that the X-Plane benchmark can really take advantage of the high clock speeds that the dual-core Haswell CPUs offer. The next higher setting (fps_test=3) requires a high-end graphics card like the desktop GPU NVIDIA GeForce GTX 780M to ensure stutter-free performance. Additionally, a high-end CPU is also required. Update: Our ultra settings are not suitable for benchmarking, see quote above. The highest setting is most likely reserved for top-of-the-line desktop graphics cards like the Radeon R9 290X or the Nvidia GeForce 780 Ti in combination with a fast CPU. In the benchmarks we conducted, none of the test systems reached frame rates above 25 fps, although the Schenker W503 with GTX 780M and Core i7-4700MQ came quite close. Of utmost importance is a powerful CPU. 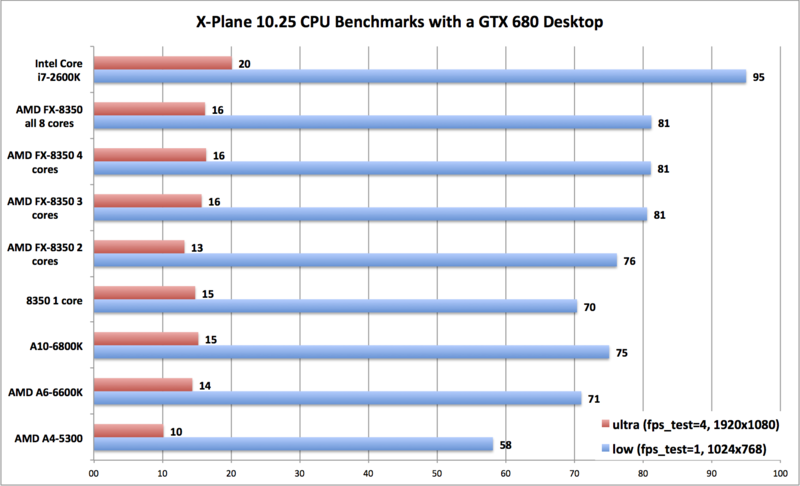 The GTX 780M paired with a Haswell Core i7-4700MQ, for example, posted the highest test scores and beat out a GTX 680 desktop GPU with a Core i7-2600K CPU at the highest settings. A detailed analysis of how the processor can impact performance is shown below. 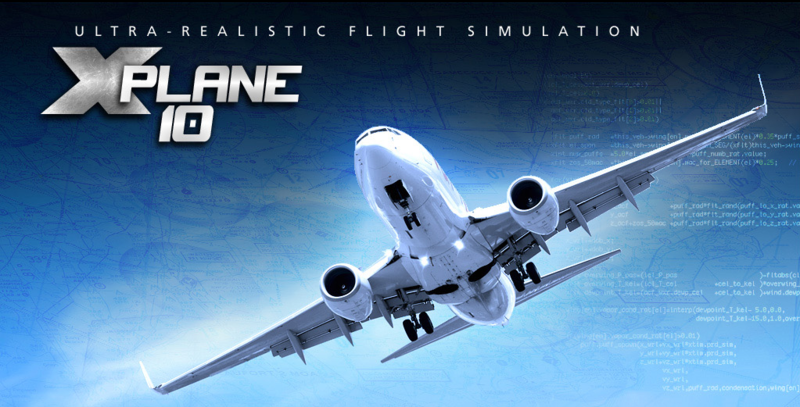 As far as the impact of the CPU performance is concerned, our tests clearly indicate that the demanding simulations of the X-Plane 10 flight simulator benefit from a powerful processor. Stepping up from the inexpensive Trinity A4-5300 dual-core (1 module) to the Intel Core i7-2600K doubles the performance. AMD's high-end FX-8350 can't take advantage of its 8 cores, since performance doesn't increase significantly after 3 of the 8 cores are active. The result: the older Sandy Bridge Core i7-2600K with only 4 cores but better performance per MHz pulls ahead of AMD's flagship.